Holly comes from a background in events, project management, operations and executive administration. She has worked extensively within the advertising and entertainment industries, providing project and administrative support. 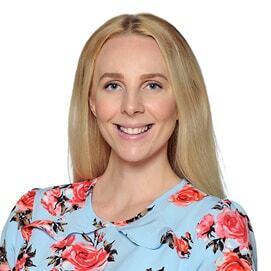 Holly thrives on developing interpersonal relationships with clients and has worked extensively at maintaining and rebuilding stakeholder relationships. She has a keen eye for detail and passion for organisation. Hosted and managed the guest speaker ‘green room’ at the renowned Google Zeitgeist event in London, coordinating and looking after well-known speakers such as David Attenborough, Stephen Hawking, David Beckham and Nile Rogers. Holly is passionate about music and songwriting and holds a Bachelor of Entertainment Business and Contemporary Music from the JMC Music Academy. Some of Holly’s music achievements include independently releasing and marketing a six-track extended play record of original songs and performing at the world-renowned Blue Bird Cafe in Nashville, Tennessee, collaborating with musicians from Australian bands such as Birds of Tokyo and the Hoodoo Gurus. Holly enjoys art, theatre shows and playing the piano. She loves the outdoors, travel and is passionate about the environment and ways to reduce, reuse and recycle.